Walmart said it would sell its Chinese online e-commerce business to JD.com, as part of a strategic alliance between both companies. In return, Wal-Mart Stores Inc. (NYSE:WMT) will own 5 percent of JD.com Inc. (Nasdaq:JD), China’s largest e-commerce company by revenue. JD.com will acquire Walmart’s Yihaodian marketplace platform, including the brand, website, and app. Based on JD.com’s recent share price, the stock deal is valued at roughly $1.5 billion. JD.com has a very complementary business and is an ideal partner that will help us offer compelling new experiences that can reach significantly more customers. Yihaodian, launched by two Chinese entrepreneurs in July 2008, is an e-commerce platform selling grocery products. Walmart first invested in Yihaodian in 2011 and took full control of the company in 2015. “JD.com has a very complementary business and is an ideal partner that will help us offer compelling new experiences that can reach significantly more customers,” said Doug McMillon, president and CEO of Walmart in a press release. JD.com’s shares jumped nearly 5 percent to $21.06 on the Nasdaq Stock Market on Monday afternoon. The e-commerce company headquartered in Beijing is a major competitor of Alibaba’s Tmall. It sells electronics, mobile phones, and computers online and is trying to expand its offerings to compete with Alibaba’s Taobao and Tmall. Walmart and JD.com agreed to team-up in several strategic areas in China including both online and offline retail. As part of the deal, Walmart will continue to operate the Yihaodian direct sales business and will be a seller on the Yihaodian marketplace. Both companies will work together on growing the Yihaodian brand and business under its current name and market position. Sam’s Club China will open a flagship store on JD.com, expanding the availability of Sam’s Club’s high-quality imported products across China. It will offer products through JD.com’s nationwide warehousing and delivery network. Walmart and JD.com will use both supply chains to create synergies, including broadening the range of imported products. Experts believe, forming an alliance with JD.com could give Walmart a better chance to remain competitive in the Chinese market and boost its retail sales. Walmart’s China stores will be listed as a preferred retailer on JD.com’s O2O JV Dada, China’s largest crowd-sourced delivery platform. This partnership will drive online traffic to Walmart stores and allow customers to order fresh food and other items. Walmart will continue to operate its own physical stores. China offers enormous opportunities for both online and offline retailers. However, it also has significant challenges due to recent economic slowdown and fierce competition. Experts believe, forming an alliance with JD.com could give Walmart a better chance to remain competitive in the Chinese market and boost its retail sales. “We look forward to further developing Yihaodian, which has tremendous strength in important regions of eastern and southern China. … We are also delighted to welcome the Sam’s Club flagship store onto the JD.com platform. 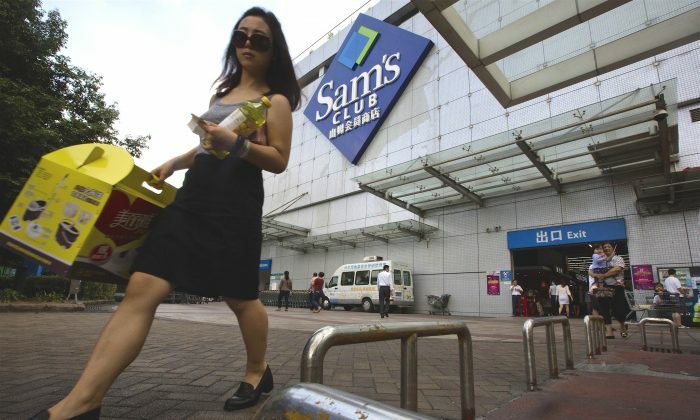 Sam’s Club’s unique, high-end product selection meets the demand from China’s increasing affluent consumers for high-quality, imported products and has already proven popular in the Chinese cities where it has stores,” said Richard Liu, CEO of JD.com. This recent deal will further help JD.com compete against market leading Alibaba, according to Clavis Insight, which provides eCommerce Intelligence. “Alibaba still controls a large percentage of the market, with 46 percent market share in 2015. An ever expanding anniversary sales event along with the recent announcement of a partnership with Walmart to buy Yihaodian should give Alibaba some serious competition in the coming years,” stated Clavis in a report.